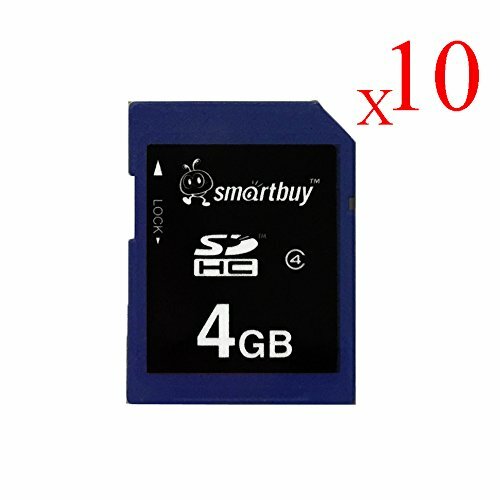 View More In SD & SDHC Cards. SDHC (Secure Digital Card with High Capacity) is introduced to meet your demand for a better quality of life. Conforming to SD Specification 2.0 version, SDHC not only provides high-speed data transfer, but it is also compatible with most of SDHC portable devices in the market. The SDHC is the best choice for you to store all kinds of data including MP3, high-definition photos and video etc. Important notice: Not all devices support SDHC memory cards. Please check compatibility with your device manufacturer before purchase. We are not responsible for any incompatibility issues. Built-in Error Correcting Code (ECC) to detect and correct transfer errors. Supports Content Protection for Recordable Media (CPRM). Allows In System Programming (ISP) for updating firmware. Support auto-standby, power-off and sleep modes. Mechanical write-protection switch. Waterproof, Temperature Proof, X-Ray proof. Support FAT32 (SDHC) file system. If you have any questions about this product by Smart Buy, contact us by completing and submitting the form below. If you are looking for a specif part number, please include it with your message.